The National Association of Realtors 2012 Profile of Home Buyers and Sellers reports 86% of recent home buyers said that heating and cooling costs were somewhat or very important considerations for a home purchase. 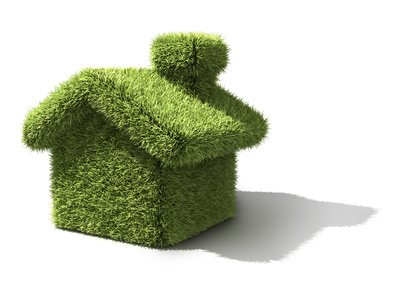 Energy-saving features can bring a higher value to properties. Caulk and seal and gaps in your home (plumbing lines, windows, crawl spaces, etc…) The EPA reports you can save $220 per year doing this. Use a programmable thermostat and set your timing for energy efficiency – The EPA reports savings of up to $180 per year. Learn about using a programmable thermostat here. Use LED light bulbs – You can save up to $75 per year (per The EPA) – Go here to see more details about what type of bulbs to use . Set your water heater tank to 120 degrees – By going from 140 degrees to 120 degrees, you could save 6% to 10% on your annual water heating costs. The EPA has an interactive “home”graphic that you can click on room by room to learn about energy efficiencies. Go here. Need help with a contractor? Contact Sibcy Cline Home Services – they can put your in touch with a service vendor to help with home energy efficiencies. This entry was posted in Home Services, House Trends and tagged Caulk, Energy, energy efficient homes, EPA, Water heating by susanaknabe. Bookmark the permalink.